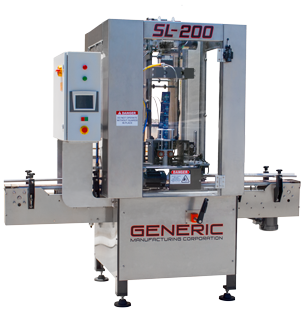 Generic Manufacturing provides customers with several different conveyor options including standard conveyors, custom conveyors, bottom side transfer conveyors, or conveyors built in to your machine. 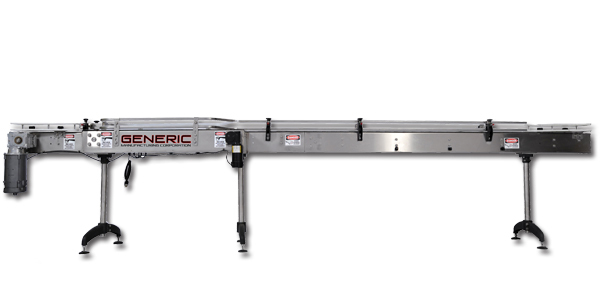 Our Standard Conveyors are simple to use, and perfect for a wide variety of applications. Simply place the unit where needed, level the legs, plug it in, set the speed control, and you’re off. 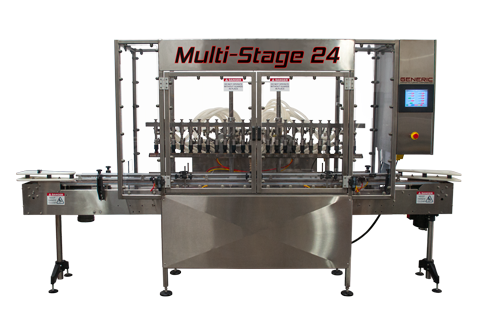 All of our conveyors are built with the highest quality components right here in the USA, and built to last. 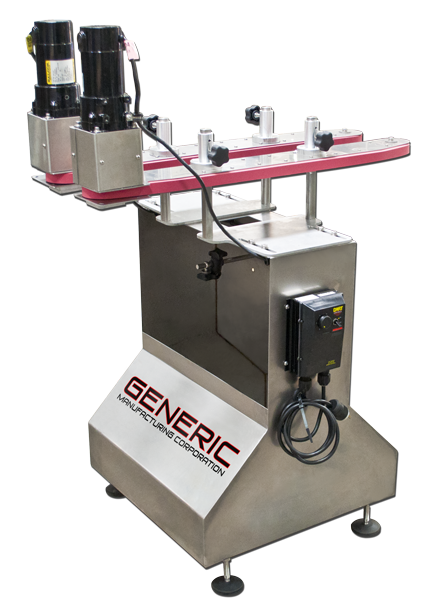 The Generic Manufacturing Bottomless Transfer Conveyor creates an open space below containers to allow access for an inkjet coder print head to apply Lot Codes, Date Codes, Time Stamps, or other text to the bottom surface of the container using a non-contact printing method (CIJ printer technology). The open space for printing below is created when the gripper belts secure the traveling container in place by its sides. 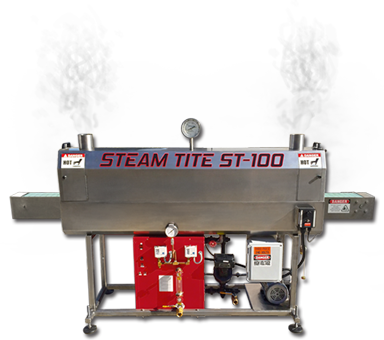 Designed for simple transfer to and from standard conveyors.